WASHINGTON — The U.S. government is reviewing the cases of nearly 3,000 children in its care who say they were separated from their parents when they crossed the U.S. border as it rushes to meet a court imposed deadline to reunite migrant families, according to Health and Human Services Secretary Alex Azar. Previously, Azar had told a Senate panel that his agency had 2,047 children remaining to reunify with their parents in the wake of the Trump administration’s “zero tolerance” policy, but he told reporters on Thursday that the number is larger because a court order has required HHS to reunite all separated migrant children, even those taken from their parents before zero tolerance went into effect in early May. Azar also said some children who are part of the nearly 3,000 may not qualify for reunification because they became separated from their parents during their journey and not by U.S. border agents. “It’s important to remember that information from children can at times be unreliable,” Azar said, adding that HHS is reviewing datasets from the Department of Homeland Security to verify the claims. Azar also said that the traditional method of verifying parental claims over a child, through documents like a birth certificate, will take too long. So the agency will be conducting DNA tests by taking a cheek swab of every child before matching him or her with a parent. The DNA results will only be used to match parents with their children, said Cmdr. Jonathan White, assistant secretary for preparedness and response at HHS. HHS has only reunified parents with their children before they are deported up until now, Azar said, but it will soon be reuniting parents and families in ICE detention centers while their asylum claims play out. NBC News previously reportedthat U.S. Immigration and Customs Enforcement agents were giving parents the choice between leaving the country with or without their children. A federal judge in the Southern District of California ordered that the government must reunite parents separated from children younger than 5 by July 10 and children ages 5-17 by July 26. 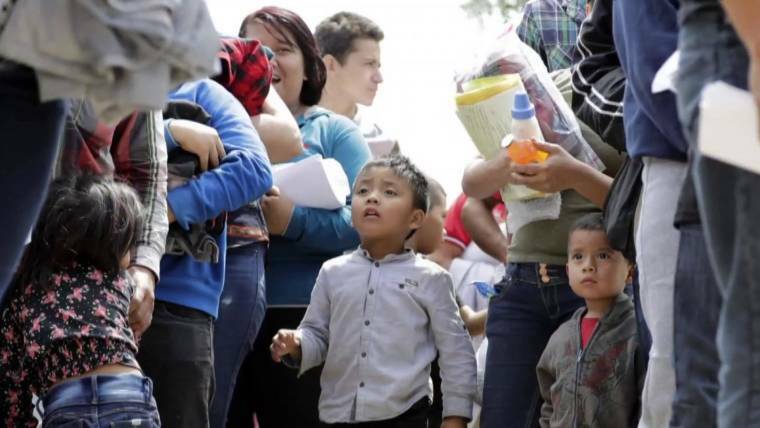 Azar called those deadlines “extreme” and warned that some procedures the agency usually follows to ensure children go to their rightful parents and safe homes may have to be nixed.